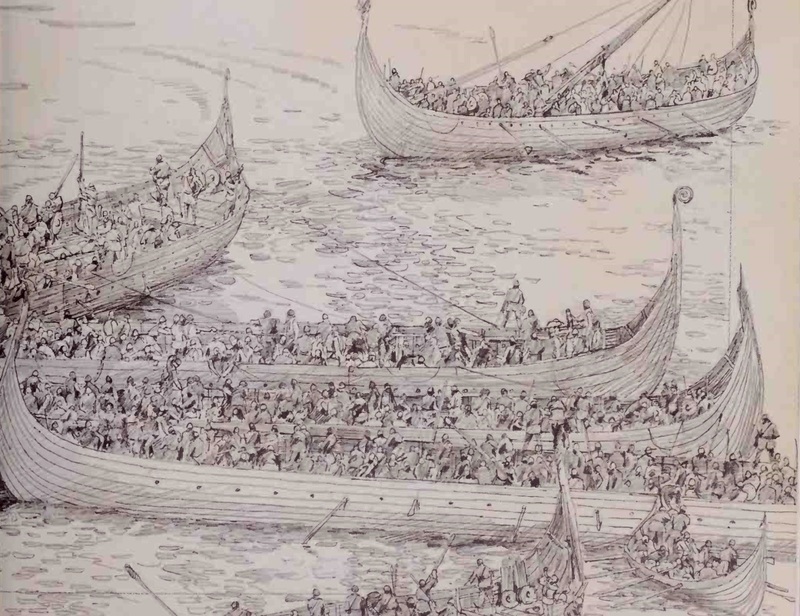 In autumn an army of Danish Vikings were defeated at the Battle of Norditi (Battle of Hilgenried Bay) on the North Sea coast by a Frisian army under Archbishop Rimbert of Bremen-Hamburg, this led to permanent withdrawal of the Vikings from East Frisia. Duisburg was recaptured from the vikings by Henry of Babenberg. 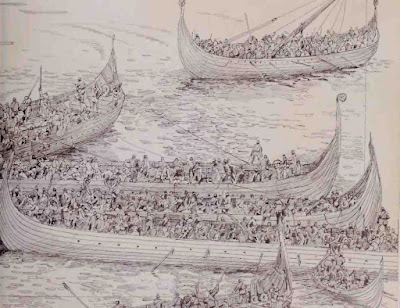 King Carloman the second paid 12000 lbs silver to vikings and in december Carloman died in a hunting accident, and vikings started looting in West France, with the death of Carloman the second the vikings decided that the peace treaty was canceled. According to Beowulf, Snorri Sturluson's Edda and his Ynglinga saga, Saxo Grammaticus' Gesta Danorum, and the Grottasöngr Frode/Frodi became king of Denmark.